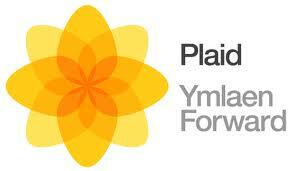 Good Luck to Leanne Wood and Plaid Cymru! Wales is a great country, and I really enjoyed living in Aberysthwyth although only for one year. Aberystwyth, is the heart of Plaid Cymru, or so I was told so I have always had a slight interest in the progression of the Welsh Party. Why should Wales be run essentially from London? Local councils have more power than we think to make a difference to our lives. To make Wales stronger economically councils have to pull their weight and use their powers to change lives for the better: to create work, stimulate business, encourage investment, prioritise education and take care of the environment. As a nation, we can build resilience to future threats by building up a network of Plaid councils run for the people and not the political parties, creating local economies that put people first. The smaller the components of the country become, the easier it is to give the means of production back to the people, to make the area work for the people.